Kosovo is a small country with an open economy which focuses on exports and imports. The foreign trade is a good chance for the country to recover the economical situation in the country. As the state building was undertaken, the trade sector including both imports and exports has shown constant increasing trends. Even though, at this time the exports cover only a small portion of imports, the aim of the government is to develop this sector through incentives and help the exporters overturn this large gap. In 2009, Kosovo joined the World Bank and International Monetary Fund. These collaborations opened the ways to international market, motivating local manufacturers and sellers. In order to help integrate Kosovo into regional economic structures, the United Nations Interim Administration Mission in Kosovo signed its accession to the Central Europe Free Trade Agreement (CEFTA) in 2006. The country is very rich in natural resources. This is the main source of income. Kosovo exports lead, zinc, silver, cobalt, copper, iron and bauxite. In addition to this, the country owns 14 billion tonnes of lignite. Other exports include prepared food, plastic and plastic products, rubber and rubber products, machinery, mineral products, materiel products and textiles. Kosovo’s main export partners are Italy, Albania, Macedonia, Switzerland, Montenegro and Germany. The economy of Kosovo is a transition one. After gaining the independence in 2008, the country set up new trade relationships and gained its place on international market. 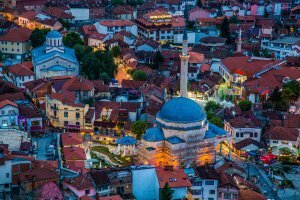 Despite the fact, that Kosovo is considered to be one of the poorest economies, it has great potential for future developing. The government of the country is focused on establishing of functional roads and railway networks to connect with Albania and Serbia. A good transportation system is the key for good trade relations with EU countries. For realizing this aim, the country imports construction materials and engineering appiances, machinery and mechanical appliances as well as different wood items. In addition to this, the country imports mineral products, electric materials, prepared food, beverages and spirits, tobacco, metals and chemical products. The country suffers from lack of natural water resources. This causes a lot of health problems among citizens. In such a way, the country is forced to import large amount of potable water from neighbor countries. Imports are mostly from European Union and CEFTA countries. The constant trade export partners are Republic of Macedonia, Germany, Serbia, Italy and Turkey. 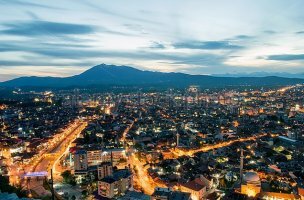 Kosovo’s transition to an open, market-based economy continues with an increasing degree of economic freedom. In a challenging regional economic environment, the landlocked economy has outperformed its neighbors, recording economic expansion every year since independence. Kosovo has adopted a constitutional fiscal rule to keep public debt from rising to unsustainable levels and has implemented competitively low corporate tax rates. Kosovo is a member state of the Central European Free Trade Agreement (CEFTA) and has expressed interest in seeking observer status in the World Trade Organization during 2016. Most agricultural equipment is imported free of customs duties, while an 18 percent VAT must be paid for construction materials coming from CEFTA members. Most imports from CEFTA countries are duty free, except for certain agricultural products, such as wheat. A 10 percent customs duty and 8 percent VAT must be paid on essential goods, while an 18 percent VAT must be paid on all other imported goods. In April 2016, Kosovo implemented a Stabilization and Association Agreement (SAA), which lifted customs duties on over 1044 agricultural and 487 fishery imports from the EU. Under the same agreement, customs tariffs on industrial imports will be phased out gradually over a period of 10 years. Almost all imports are subject to the Value Added Tax of 16% on the duty-paid value of the imported goods. However, certain goods are exempt from the VAT, whether either imported into Kosovo, or produced in Kosovo. TARIK indicates whether VAT is not collected on the importation of specific goods. Administrative procedures for the export of goods are a necessary cost of doing business. They ensure effective compliance with national and international laws and product safety, as well as the collection of accurate trade statistics. Exportation entails the application of exit formalities including all trade policy measures. In this case, customs controls relating to the application of prohibitions and restrictions will take account of the special nature of the situation. With the exception of goods placed under the outward processing procedure, all Kosovo goods intended for export are to be declared and placed under the Customs’ export procedure.